Dr. Fair is a Life Fellow of the IEEE and a Fellow of the Electrochemical Society. 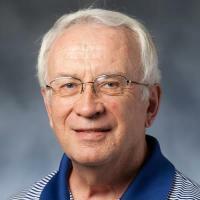 He has served as Associate Editor of the IEEE Transactions on Electron Devices (1990-1993) and is past Editor-In-Chief of the Proceedings of the IEEE (1993-2000). He received the IEEE Third Millennium Medal in 2000, and the 2003 Solid State Science and Technology Award from the Electrochemical Society. He has published 150 papers in technical journals, contributed chapters to 10 books, edited eight more books, and given over 115 invited talks. Our research group will continue to be driven by applications for lab-on-a-chip technology. While funding for microfluidics devices and science is non-existent, applications in environmental engineering, biosensing, diagnostics, genomics, etc. continue to appear. Thus, we have created strategic alliances with faculty in ECE, CEE, chemistry, genomics, biochemistry, microsystems engineering, and computer science at Duke, DUHS, Harvard and Stanford as part of our new thrusts into applications-driven research in bio-fluidic systems. We have funding to glue these critical pieces together. We have also aligned with Advanced Liquid Logic for the development of a more stable electrowetting platform on which to develop applications. And we are working on an NSF grant with Nan Jokerst’s group and Krish’s on an adaptive lab chip to develop on-chip optical sensing and control. Additionally, we have DARPA funding with Stanford, Harvard, and ALL in developing a genomic engineering platform for synthetic biology. Also, we are starting a new NSF grant on airborne particle sensing with Desert Research Institute. Madison, AC; Royal, MW; Fair, RB, Piezo-driven acoustic streaming in an electrowetting-on-dielectric digital microfluidics device, Microfluidics and Nanofluidics, vol 21 no. 12 (2017) [10.1007/s10404-017-2012-6] [abs]. Madison, AC; Royal, MW; Vigneault, F; Chen, L; Griffin, PB; Horowitz, M; Church, GM; Church, GM; Fair, RB, Scalable Device for Automated Microbial Electroporation in a Digital Microfluidic Platform., Acs Synthetic Biology, vol 6 no. 9 (2017), pp. 1701-1709 [10.1021/acssynbio.7b00007] [abs]. Fair, RB, Demonstration of Automated Analysis of Multiple Analytes on an Integrated Digital Microfluidic Platform., Clinical Chemistry, vol 63 no. 5 (2017), pp. 1038-1039 [10.1373/clinchem.2016.266585] [abs]. Moore, JA; Nemat-Gorgani, M; Madison, AC; Sandahl, MA; Punnamaraju, S; Eckhardt, AE; Pollack, MG; Vigneault, F; Church, GM; Fair, RB; Horowitz, MA; Griffin, PB, Automated electrotransformation of Escherichia coli on a digital microfluidic platform using bioactivated magnetic beads., Biomicrofluidics, vol 11 no. 1 (2017) [10.1063/1.4975391] [abs]. Madison, AC; Royal, MW; Fair, RB, Fluid transport in partially shielded electrowetting on dielectric digital microfluidic devices, Journal of Microelectromechanical Systems, vol 25 no. 4 (2016), pp. 593-605 [10.1109/JMEMS.2016.2561699] [abs].